Click Link below to view the Flyer of this beautiful home in the Legends Golf Community. Over the past 23 years that I have spent in Myrtle Beach, South Carolina there have been many attractions, restaurants, and people who have come and gone. The area has slowly transformed from the mostly vacant beach area to which we would travel for a trip to the mall into a fast paced tourist attraction that people visit for a fun filled coastal vacation. Although through the years Myrtle Beach has been privileged to gain some of the best attractions in the World and especially the East Coast, I am personally thrilled about the newest addition to our collection world renowned entertainment. The Myrtle Beach, South Carolina Hollywood Wax Museum will be making headlines all over the United States as it Opens its doors during the Summer of 2014. 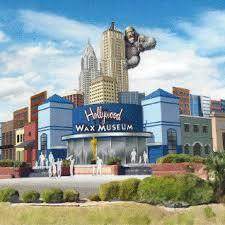 If you are planning a vacation for the summer head to Myrtle Beach and experience the new Hollywood Wax Museum, the world famous Planet Hollywood, Wonderworks (the upside down building), and have the very best experience with family and friends. You can also find great deals such as the pick 3 pass, which includes admission to Hollywood Wax Museum, the Zombie Apocalypse Haunted Outbreak, and Hannah’s Maze of Mirrors. This information and these particular attractions come highly regarded with my personal recommendation. I know first hand that there is nothing better than a relaxing yet fun filled vacation with the ones you love most. The sunshine and beautiful beaches are not all that the Grand Strand has to offer. Myrtle Beach is jam packed with excitement and once in a lifetime journeys… come on down and check it out! I extend an early Welcome on behalf of the city I so dearly love. One thing that we all have in common in some shape or fashion is our difficulty with change. As humans it is our nature to become comfortable with our lives and ultimately our surroundings. The people that we are comfortable with are our “loved ones” and the place that we are most comfortable is called our “home”. I recently made a very dramatic change to my appearance which is when I learned exactly how intense this issue really is. I have been a distinct blonde for my entire 24 years of life; Not only was my extremely light colored hair a “trademark” for me, but it also connected me to both my mother and grandmother who are just as much cotton tops as I was. You can probably imagine their surprise when I randomly announced my intention to become a brunette. Once the damage was done someone said something to me that I will never forget. “Paige… prepare yourself! Some people may love it, but most will hate it because People Do Not Like Change”! How true is that?! The bottom line is this, the problem comes in with us all simply not knowing HOW to make a change. Has anyone ever said to you “if you want something to be different, you just have to change it”.. they might as well tell us “if you want to go to the moon, just learn to fly”. When it comes to learning how to adapt to new situations, our flames burn out so to speak. We draw a blank. Therefor the single most important thing to learn is to just bite the bullet, and make the change. Put the consequences and abnormalities behind you and be open to the possibilities that could come from even the smallest change. On this topic, Moving can be one of the most extremely difficult decisions and adjustment for any family to make. New surroundings, faces, schools, and overall atmosphere is a large hurdle to leap over but it can also become the best decision to make. Myrtle Beach, South Carolina is now my most favorite place on Earth; My home. The Southern hospitality almost seems contagious and the South Carolina motto says it all: “Smiling Faces and Beautiful Places”. Give me a call today so that I may have the pleasure of assisting you in a beautiful change of scenery. Myrtle Beach, SC is the most wonderful place to be. Full Service Realtors offer flexible schedules to meet the clients needs.